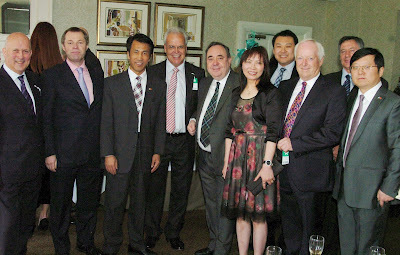 To further promote business and trade between Ayrshire and China, the Elite Ayrshire Business Circle arranged a meeting between the Chinese Consul-General in Scotland Mr Li Ruiyou, Scotland First Minister Alex Salmond and John Scott MSP for Ayr at the Coral Scottish Grand National Festival at Ayr Racecourse yesterday (Saturday 21 April 2012). 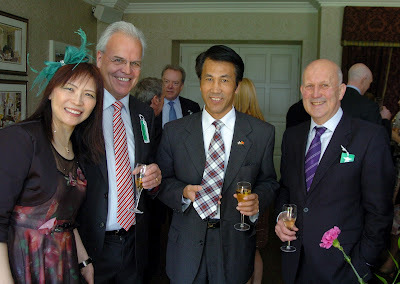 Elite Ayrshire Business Circle executive chairman and Frazer Coogans Commercial Solicitors senior partner Norman Geddes commented: “China is already the world’s second largest economy, and at its current rate of growth, analysts see China replacing the US as the world’s top economy in about a decade. “The Elite Ayrshire Business Circle therefore sees it as vital to encourage as many of our members as possible to do business with China, particularly in these challenging economic times, and to facilitate their efforts in every way possible. 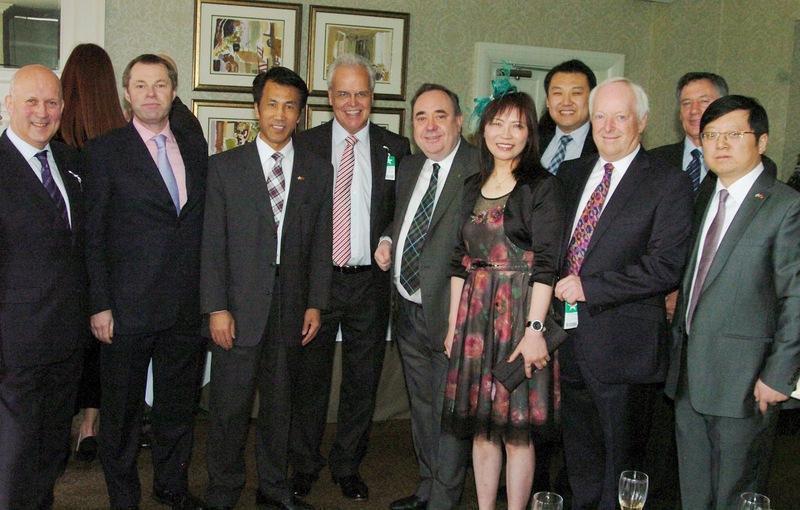 For their invaluable work in helping to set up yesterday’s meetings, the Elite Ayrshire Business Circle is grateful to the directors of Ayr Racecourse for arranging the visit of First Minister Alex Salmond, and to Ayr-based business couple Meiqin and Jim McColm for securing the attendance of Chinese Consul-General in Scotland Mr Li Ruiyou.